Three teams have survived the first three days of the Minnesota American Legion Division I State Tournament in Burnsville. Eastview emerged as the sole unbeaten team. Edina will take on Eden Prairie in the first game Sunday at 12:30 pm. at Alimagnet Park, Rich VanderLaan Field. The winner of that game will take on Eastview at 3:30 for the state champiionship. Eastview now qualifies for National Regional play, having singled Edina to death in the winners' bracket final on Saturday night. The Thunder had 23 hits, all singles, to defeat Edina 22-10 and advance to the state championship game at 3:30 Sunday at Alimagnet Park. Catcher Joe Peters, who led Eastview's attack with four hits and four RBI in five at-bats, said, "Our seniors have been together since we were 9 years old, and we have bonded well as a team this year." The Eastview boys had won seven youth baseball titles leading up to this year, but now they are going after the biggest prize, the state Legion title. This is only Eastview's second season as an American Legion team. The winner of the early game will also qualify as one of the two teams Minnesota will advance to the National Regionals, which will be held in Minot, North Dakota (Central Plains Regional), and Chillicothe, Ohio (Great Lakes Regional), beginning August 14th. The American Legion World Seriew will begin August 22nd in Shelby, North Carolina. At Sacred Heart, in the the Division II State Tournament, Jordan topped Staples-Motley 7-1 and LaCrescent beat Ely 5-4. Jordan and LaCrescent will play Sunday for the Division II title. Five minutes after his team defeated the Rochester Patriots 9-1 Saturday afternoon at Alimagnet Park, Eden Prairie Legion coach Scott Hackett was ready to announce his pitching choice for the 12:30 p.m. elimination game Sunday. Madison Boer will get the call, and thats no surprise. Boer has been down this road before and knows what it takes to pitch in a big game. 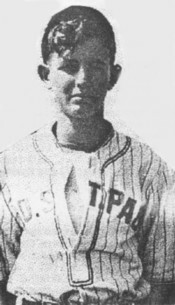 Boer was pleased to hear that he would be on the mound for the first game on Sunday. The championship game will follow at 3:30 p.m., but Eden Prairie has to win the 12:30 game to assure itself a regional berth. Were going for No. 5, said Boer, referring to Eden Prairies string of four consecutive state Legion Baseball titles. I am happy to get the start. The last couple of times out, I have been able to throw all four pitches for strikes. Boer has an overpowering fastball and also throws a curve, a slider and a straight changeup. I am throwing a changeup for the first time this year, and I have kind of fallen in love with it, he said. Boer, who also plays first base, has a partial scholarship to play baseball at the University of Oregon next season. I always wanted to go to a good college program and play for a good coach, he said. In Oregons case that good coach is George Horton, who recently left Cal State-Fullerton to take the job with the Ducks. Before he bears down on college hitters, Boer has one last thing to accomplish as a high school player --- winning the Legion World Series title. Playing in the World Series last year was the best experience of my baseball career, he said. We got to town and went right from the hotel to the parade. It was very exciting to play at that level and see all the other regional champions. We ended up taking second. It looked like a return to the Legion World Series would be a longshot when Eden Prairie lost 12-9 to Grand Rapids in the first round of the State Tournament earlier this week, but the defending state champs were able to right the ship. They won the next five games: 25-11 over Moorhead, 9-3 over New Ulm Gold, 18-8 over the Apple Valley 76ers, 10-8 over the St. Cloud 76ers and 9-1 over the Rochester Patriots. After we lost to Grand Rapids, I told our guys we had to turn the page and move on, said Hackett. The boys are hitting the ball well and our pitching staff has stepped up. Andrew Richter gave us a good performance against Apple Valley yesterday and Tim Bado came through against St. Cloud today. Eden Prairie pounded 17 hits in the win over the Rochester Patriots Saturday, including three each from Lindner and Joe Wentzel. If that happens again on Sunday, Eden Prairie (43-9-1) could find itself on the way to another World Series. still comes back as a fan. Twenty-seven years ago, Bob Halko brought American Legion Baseball to Burnsville, and although the program is thriving now, that wasnt always the case. Once Burnsville Legion Post 1700 started to increase membership, the finances improved. Then, Halko and others started the non-profit corporation that now funds Legion Baseball in the community. Now 79 years old and living most of the year in Naples, Fla., Halko said he enjoys coming back to Burnsville to watch Legion baseball every summer. Halko gave his stamp of approval to the efforts of Burnsvilles host committee. Ken Slipka, chairman of the host committee for the State American Legion Baseball Tournament, knew that Burnsville was taking a chance when it threw its hat in the ring. That help came in the person of Steve Saefke, a member of the committee. It was Saefke who brought Dodge of Burnsville on board as a sponsor. And then, Gary Hohman, a former University of Minnesota baseball player, who represents 100 Dodge dealers, got on the bandwagon. New Dodges were parked along the path at Alimagnet Park this week, and you could say, Dodge has emerged as a driving force in the success of the tourney. One of the prominent vendors at the park, Varsity Photo, took all of the team photos for the tournament and has action photos for sale from each game. Planning committee member Ed Delmoro organized the tournament banquet along with Ruthie VanderLaan, Richs wife. The best thing about the banquet for me was when I looked out and saw the smiling faces of 300 kids, he said. 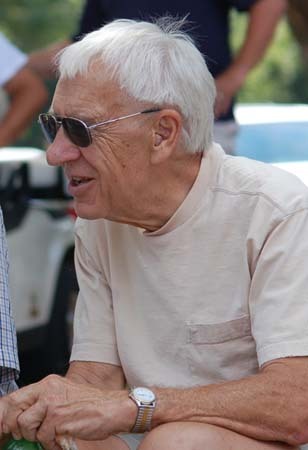 Kip Peterson organized concessions for the planning committee. The fans went through hundreds of pounds of grilled hotdogs and hamburgers, not to mention many bottles of pop and cases of ice cream. All in all, the local planning committee, which also includes Don Bowyer, Alan Spillers, Bill Streff and Neal Jeppson, agreed the experience of hosting a State Legion Tournament was two things: 1. A lot of work and 2. A lot of fun. The fun made all the work worthwhile. State American Legion Baseball Director Darwin Berg was very appreciative of the host committees efforts. 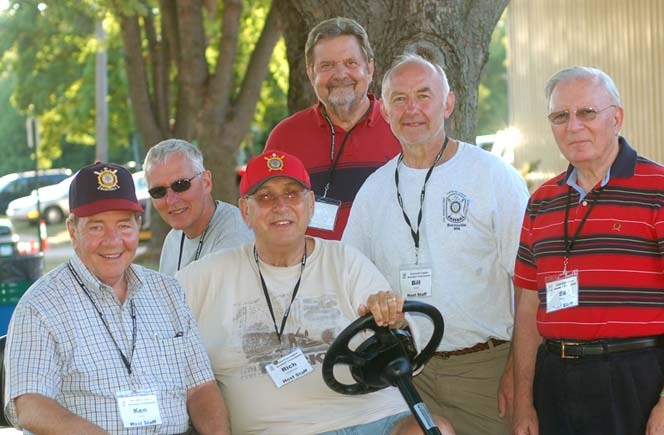 Burnsville's host committee for the State Legion Baseball Tournament includes, from left, Ken Slipka, Steve Saefke, Rich VanderLaan, Kip Peterson, Bill Streff, and Ed Delmoro. Not pictured: Neal Jeppson, Alan Spillers and Don Bowyer. Jim Peck is finishing his 45th year as a youth baseball volunteer, and hes not done yet. 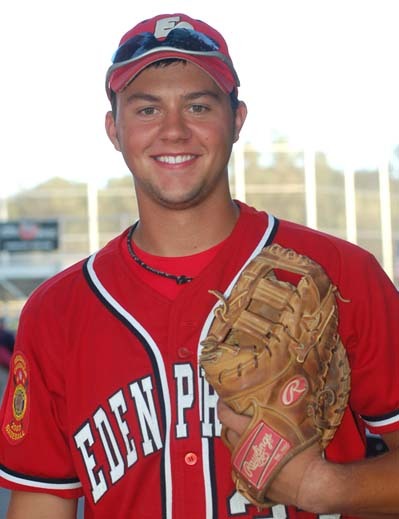 The Excelsior American Legion general manager spearheaded the effort to get Excelsior the bid for the 2009 Central Plains Region Tournament. It will be held at Minnetonkas artificial-turf Veterans Field, located at Minnetonka High School. This is the third time Peck has coordinated a Legion regional. The other years he hosted were 1991 and 1997. We have a topnotch facility, a lot of great volunteers and a quality hotel, the Marriott in Minnetonka, said Peck. To host the 2009 regional, the Excelsior Post had to come up with a $15,000 bid. Peck said the regional will feature state American Legion Baseball champs from Iowa, Kansas, Minnesota, Nebraska, North Dakota, South Dakota and Wisconsin in addition to the host team from Excelsior. Excelsior hosted the State Legion Tournament in 2006, and Peck said that was a bigger undertaking than the regional. In the State Tournament, you have twice as many games, 16, and you have four fields to manage the first day. The unranked St. Cloud 76ers gave Eden Prairie a competitive run, before bowing out of the State Tournament Saturday morning at Alimagnet Park. St. Cloud made the game interesting with a five-run seventh inning that cut Eden Prairie's lead to 10-8. Jeremy Hericks and Scott Lindner homered for Eden Prairie, and Nathan Laudenbach of St. Cloud countered with a homer. Lindner went four-for-four with four RBI. Catcher, Matt Halloran, had three hits for Eden Prairie. Laudenbach and Kellen Euerle had two hits each for the 76ers. Caleb Phillips pitched the first five innings to get the win on the mound for Eden Prairie, and Conner Stremke was credited with a save. Phillips, Lintner (6), Willey (7), Stremke (8) and Halloran. Spengler, Laudenbach (5) and Blitvich. WP Phillips. LP Spengler. Home runs: Laudenbach, St. Cloud; Lindner, Eden Prairie; Hericks, Eden Prairie. The Rochester Patriots came from behind in the eighth inning to defeat North St. Paul 5-4 in an elimination game at Alimagnet Park in Burnsville. Catcher, Bryce Odegarden, drove in the tying run on a single to left, and then the ball skipped past North St. Paul's left fielder, allowing the go-ahead run to cross the plate. Jordan Rishavy and Brian Anderson also had RBIs for the Patriots. The player of the game was center fielder Nick Schneider of North St. Paul, who went four-for-four with two singles, a double and a triple. Anderson went 7 and 1/3 innings to get the pitching win for Rochester. Andrew Roble got credit for a save, as Rochester boosted its season record to 35-12. North St. Paul finished 29-11 overall. Anderson, Roble (8) and Odegarden. Lindberg, Gunderson (8) and Rubbelke. WP Anderson. LP Lindberg. Tim Bado's pitching helped Eden Prairie stay alive in the State Legion Tournament with a decisive win over the Rochester Patriots Saturday afternoon at Alimagnet Park. Joe Wentzel and Matt Halloran each had three hits for the winners, while Matt Halloran had a home run and three RBI. Lead-off man, Lucas Skjefte scored three runs for EP, which improved to 43-9-1 on the season. Jordan Rishavy had two hits for the Rochester Patriots, who finished the season with a 35-13 record. Bado, Stremke (8) and Halloran. Roble, Long (5), Gwaltney (9) and Nelson. WP Bado. LP Roble. Home runs: Halloran, Eden Prairie. Eastview had 23 hits, all singles, in a victory over Edina in the winners' bracket final Saturday night at Alimagnet Park. Catcher, Joe Peters, led the Eastview attack, going four-for-five, with four RBI. Erik Klefsaas, Ben Wagner, Patrick O'Neill, and Ty Groskreutz each had three hits. Andy Bartz and Vince Williams each had three hits for Edina. Wobschall, Barry (7) and Peters. Dean, Wikoff (4), Todd (4), Newman (9), Williams (9) and E. Nelson. WP Wobschall. LP Dean. Eastview and Eden Prairie will be Minnesota's representatives in national regional play, following action Sunday in the Minnesota American Legion State Division I Baseball Tournament in Burnsville. Boer, T. Miller (5), Stremke (8), Lintner (9) and Halloran. C. Nelson, Smith (7), E. Nelson (9) and E. Nelson, Scheckinger (9). Home runs: Lindner, Eden Prairie; C. Nelson, Edina. Hagen, Jensen (6) and Wagner, Peters (7). Richter, Willey (2), Lintner (5), Gotham (6) and Halloran. WP Hagen. LP Richter.